What are the best ways to regulate and govern the production and use of energy in an increasingly energy dependent – and resource scarce – world? A recently published book International Energy Governance: Selected Legal Issues looks at this question. Here, co-author Dr. Rafael Leal-Arcas tells us his thoughts on the state of energy governance and the direction in which it is heading. This book was conceived while I was a Marie Curie COFIT senior research fellow thanks to the generosity of the FP7 program of the European Commission, which resulted in the publication of another book of mine entitled Climate Change and International Trade (Edward Elgar Publishing, 2013). While writing that book, I started thinking about the close links between climate change mitigation and energy-related issues. Could you provide an overview of the book in a nutshell? The broad thematic scope of this book brings together various legal aspects of international energy governance, such as international trade liberalization, investment protection, environmental protection, energy security, and energy transit, which I have studied in my previous books: Theory and Practice of EC External Trade Law and Policy (Cameron May, 2008), International Trade and Investment Law: Multilateral, Regional and Bilateral Governance (Edward Elgar Publishing, 2010), and Climate Change and International Trade (Edward Elgar Publishing, 2013). This time around, the book looks at all these legal aspects and others from an international energy governance perspective. Energy ‘governance’ at the ‘interstate’ level takes place in a manner that is ‘fragmented’. In this context, ‘governance’ could refer to any instance of interstate cooperation ranging from ad hoc to institutionalized, one-off to ongoing, binding to voluntary, etc. When we bring in the notion of ‘energy’, governance could be taking place along different areas of interstate cooperation that are ostensibly (e.g., energy transit, energy market liberalization, energy exploration, etc) or incidentally (e.g., including trade, investment, environmental protection) linked to energy. Moreover, this governance could be taking place in a manner that is neither universal, co-extensive, nor coherent. For instance, while there is some interstate cooperation pertaining to energy investments, this is merely ‘cooperation’ or governance arising from the various interstate agreements that include norms relevant to energy investments, and which again is governance that is not necessarily relevant to all states concerned. For instance, while the Energy Charter Treaty contains energy investment protection norms and is a significant element of the interstate energy governance system, its normative scope is far from universal. From your vantage point as a trade expert, what role can trade play in addressing this fragmented energy governance? International trade allows energy supply to expand and travel transnationally. Despite this link between trade and energy, it is surprising that the trade regime has not dealt with energy issues more directly. At the international level, there is no truly universal framework exclusively governing global trade, let alone governing global trade in energy. In its absence, a multi-layered patchwork of regimes has emerged, the largest cog of which is the World Trade Organization (WTO). This patchwork is not yet an effective global mechanism for global energy governance. How is energy a special sector within the international trading system? ongoing legal debates and unresolved issues that emerge from the intersection between WTO law and energy trade. You were based at the Energy Charter Secretariat while writing the book. How did your work there feed into the book? I was fortunate enough to serve as a fellow at the Energy Charter Secretariat during the final stages of this book. That experience enabled me to see first-hand the intricacies of international energy policy making. I thank my colleagues at the Energy Charter Secretariat for inviting me to be part of their home. Your previous book focused on climate change mitigation and how international trade can provide solutions towards addressing it. In this latest book, you discuss the need to achieve energy security. Is there not a contradiction between increasing energy security and mitigating climate change? How do you reconcile these themes? We cannot address the climate change issue without addressing energy. For instance, renewable energy can play a leading role in addressing climate change mitigation and enhancing energy security. The book examines selected legal aspects that arise from the promotion of renewable energy in the context of the WTO and European Union (EU), and identifies certain shortcomings, pointing to the need for clearer rules and stronger governance in order to promote the use of renewable energy worldwide. Arguably, the use of renewable energy will help towards energy security regionally and climate change mitigation globally. One of the book’s chapters focuses exclusively on EU energy security. What is your take on the current situation regarding EU energy security, and what is your prognosis about EU energy security? There is a plurality of actors in EU energy policy, a lack of an overall exclusive energy policy remit on the part of the EU authorities, and a disparity of energy interests among EU Member States. 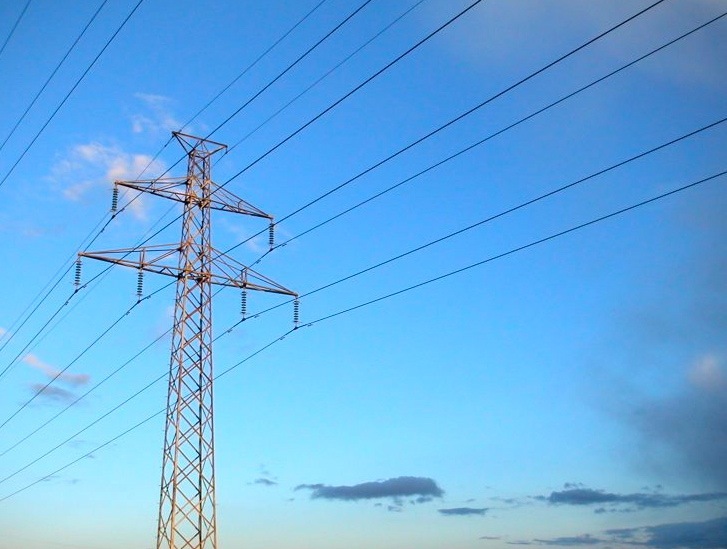 The EU faces serious challenges when aiming for a common energy security policy. Dr. Rafael Leal-Arcas is Reader in Law and the Deputy Director of Public Engagement at the Centre for Commercial Law Studies (CCLS). He teaches, and is the convenor of, the courses International Economic Law and the External Relations Law of the European Union in the LLM programme. In addition, he teaches International Investment Law and Policy and Climate Change Law and Policy in the LLM programme. In 2011-13, he served as a Marie Curie COFIT Senior Research Fellow at the World Trade Institute (University of Bern) in the framework of the EU FP7 research fellowship programme. 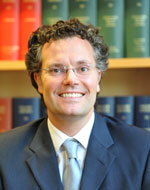 He is co-author of International Energy Governance: Selected Legal Issues, published by Edward Elgar.